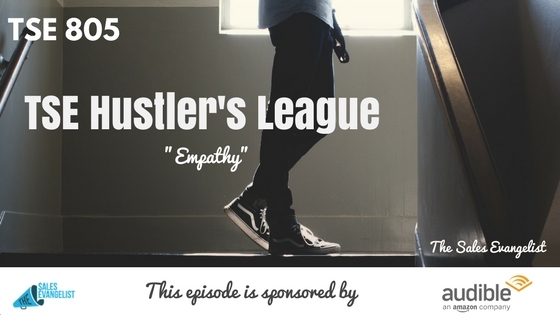 TSE 805: TSE Hustler's League-"Empathy"
Sales professionals often overlook empathy. Because we’re focused on selling a product and closing a deal, we often neglect to understand our customers. In today’s episode of The Sales Evangelist, we discuss the role of empathy in the sales process, and why sales professionals must understand their prospects in order to build value. If we don’t truly understand what our prospects need, we may be trying to sell them the wrong thing. Perhaps there’s something they need more than the thing I’m selling. When we seek to understand, it shifts our focus from what we’re trying to accomplish to what our prospects need from us. When you present yourself as someone who offers value, you set yourself apart from the many other sales professionals your customer encounters. Begin with empathy. You may be surprised to find that your customers don’t use your product the way you think they do. They may not even use it the way it was designed to be used. When I sold software, I discovered that our customers were using it for things it was never built to do. Because I took the time to interview my customers and discover how they were using the product, I was able to articulate the value of the software to new prospects. Begin by defining your product or service from your customer’s point of view. Are you able to define it that way? How are you making them feel? When you engage in cold outreach, are you providing value to your prospects? Are you sending them email with content that might be useful to them, or are you simply asking them for the sale? If you haven’t already discovered it, imbedding video in your emails can set you apart from other sales professionals. I recently connected with someone to provide value, and ultimately she became a prospect, and potentially a client. Shift your paradigm to ask your prospect how you can help. 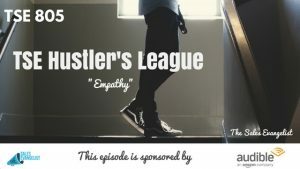 If you want to build stronger value and demonstrate your ability to solve problems for your prospects, check out The Sales Evangelist’s Hustler’s League. 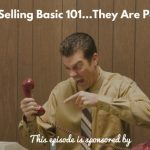 It’s an online group coaching program that brings together sellers of all abilities to share solutions and ideas. If you’d like more information about our upcoming podcast, Sold, email me. 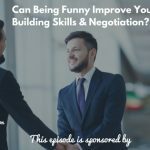 We’ll interview decision-makers about the things they like and the things they don’t like in the sales process so we can learn from the people who make up our audience. You’ll be among the first to hear the details of our newest venture. Check out BombBomb or Soapbox to make your emails stand out among all those your prospects will see today.